This family-friendly Stansbury vacation home is located by the ocean, within 1 mi (2 km) of Stansbury Museum and Stansbury Golf Club. Port Vincent Marina is 12 mi (19.3 km) away. There aren't many hotels in central Yorketown. That said, you can always stay in one of the 3 options less than 30 kilometres away. Consider the Oysta La Vista and Stansbury Holiday Motel and see if they meet your requirements. 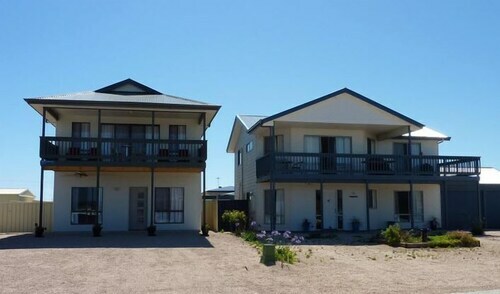 One other Yorketown hotel option is the Oyster Court Motel & Holiday Units, 20 kilometres away. Keen on seeing even more of what makes South Australia so special? Why don't you plan some extra nights in some of the other destinations in South Australia? Whether it's exploring the local attractions, trying your hand at hiking, or simply losing yourself in South Australia's beaches, rolling hills and desert landscapes, you'll find your perfect hotel with Wotif. If you want to explore some close by localities, consider Cape Jervis and Normanville. 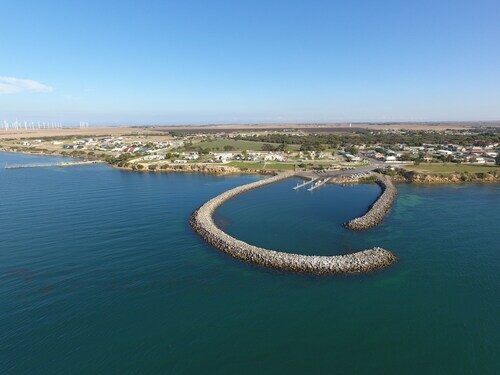 Head 80 kilometres to the southeast of Yorketown and you'll locate Cape Jervis. Alternatively, Normanville is 80 kilometres to the southeast. 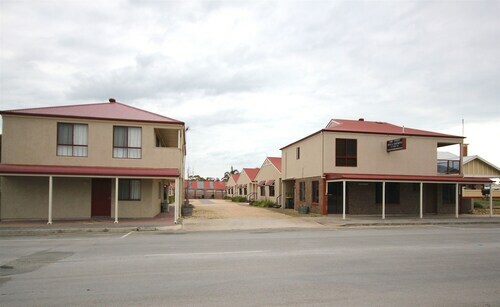 Cape Jervis accommodations are the Morella Farm Stay and Cape Jervis Accommodation & Caravan Park. Normanville options include the Wirrina Hotel & Golf Resort and Links Lady Bay Resort. Before you say goodbye to South Australia, make sure you catch some local sport. Find AAMI Stadium to the east of Yorketown. To kick your heels up nearby, make a reservation at The Lakes Resort Hotel or the Semaphore Blue Apartments. We hope you enjoy your stay in Yorketown; just remember, wherever it is on this amazing planet of ours you're dreaming of, Wotif will get you there. How Much is a Hotel Room in Yorketown? 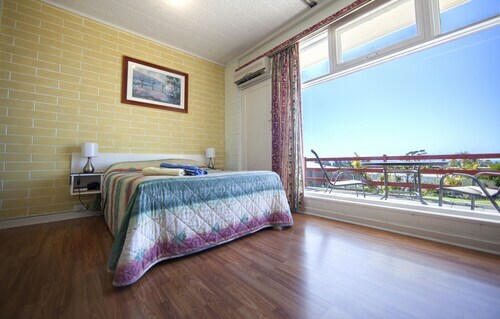 Hotels in Yorketown start at AU$109 per night. Prices and availability subject to change. Additional terms may apply.